Some people see investing in the stock market as a gamble, but it is not the same as gambling at a casino. In fact, real investors will tell you that there is no gamble involved. It is more like a job that earns them money, it just so happens that some days they might lose rather than win. That happens all the time if you visit the roulette or poker tables, but with investing, you have to look more long term and appreciate that one day’s loss can just as easily turn into a profit the following day. That never happens when you are gambling. You have to say goodbye to your money if your cards do not come up. Investing in stocks involves the performance of companies and is not a wager on what the outcome of the spin of the wheel will be. 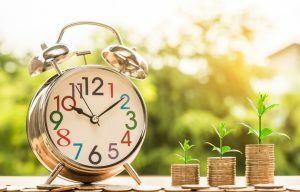 If you create a long-term plan, as suggested in the Mark Matson reviews, it lets you make any changes that are needed along the way to improve your investments. You can research the companies you are considering investing in. You can easily discover what their net worth is, how they are performing, and if the stocks are likely to go up or down in value. You have no chance beforehand of knowing what cards the dealer will hand you and no amount of research can answer this question for you. If a company is making profits and you own stocks it in, you may receive dividends from them. No casino is going to offer you any money just because they have been profitable for the last six months. The value of your investment can increase, although it may take some time to do so. This will help to increase your wealth. Gambling is a straightforward win or lose, and your money will not be worth any more than it was on the day you used it at the casino. If you are serious about investing in the stock market, the first thing to do is to learn how it works. The more you know about the processes of buying and selling stocks the more likely it is you will be successful. Then start looking at a few companies that you like the look of. See how they are performing and how this is affecting their stocks. It is wise to follow them for a few weeks, as that way you will learn more about each one and what things can affect the value of stocks. By now you will have a lot more knowledge than before you started thinking of investing, but just be patient for a little longer. Using an amount similar to the one you are planning to invest, practice buying stocks without actually doing it. This will let you see if what you have learned is good enough to make sound investments, and if your ‘pretend’ investments do well, you are ready to get started with real money.